This is for the high vibe seekers, for everyone who loves my energy . Here's your daily dose - right into your ear! I've heard it a thousand times - people love my energy. And guess what, that's how I inspire, create, make sales. My energy is the most important part of my work. And if you're ever in touch with people during your days, it's your job too! Did you ever have one of these days, where you skipped on your morning meditation or your mindset work - and it's not even 9am and the day's already at a loss? Your energy seems off, and for whatever reason, others seem to be more grumpy too. Technical issues seem to arise en masse, everything seems hard and annoying and urgh... like you've really messed it up energetically. Maybe I've made your day with one of my livestreams, or someone else was a shining light of positive energy for you. Wish you could dip into some of my vibrant energy? I always find it funny that people think I'm ALWAYS so high-vibe. I can be pretty grumpy - but I really don't like myself this way. YOUR ENERGY IS YOUR JOB!! High Vibe AF doesn’t mean to (always) jump around like a crazy person when you’re feeling down or upset. It doesn’t mean to put a fake smile on, or to suppress anger. It doesn’t mean that there’s anything wrong with lower vibrations, like sadness. Emotions aren’t wrong, and they deserve to be felt and honored, no matter what. Maybe just to the next level of higher vibes that is available to us. Taking responsibility for your day. Taking responsibility for your mood. People ask me all the time for strategy and hacks and how to figure out XYZ and I’m always guiding them back to THIS. If you’re in the right energy, you will figure it out. If you’re in the right energy, you will attract clients. If you’re in the right energy, it will be easier to find a solution. THIS is why people buy from me. THIS is the work. to start your day with motivation, inspiration and ENERGY. + A high-vibe FB group. Listening to this will be your daily mindset work ! It's like starting your mornings with me, giving you a mini pep talk. The audios will be 10 - 30 minutes long & I want you to be able to keep them and go back to them again and again if you want to bring more energy into your day. Susi's daily energy boost for you! Plus all my go to hacks, beliefs and values to build and keep my energy - so you can jump out of bed each morning, excited to show up and do the work, never ever dreading the day again. All for a ridiculously awesome one off investment of $111. This program is totally High Vibe AF! 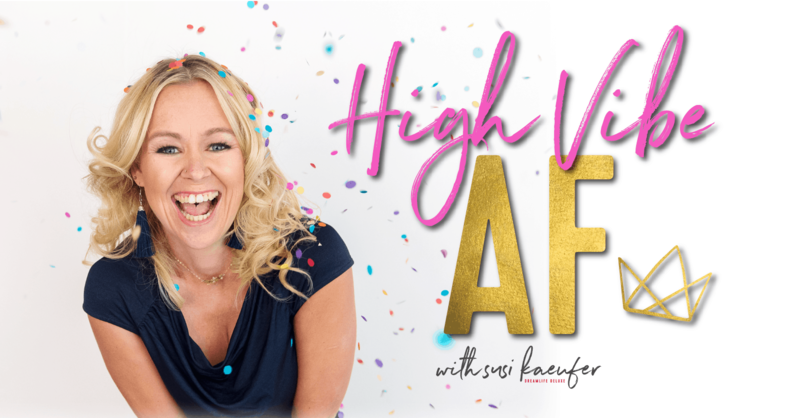 You will be added to the High Vibe AF Facebook group! Why I'm not just sending you the audios every day, without community? 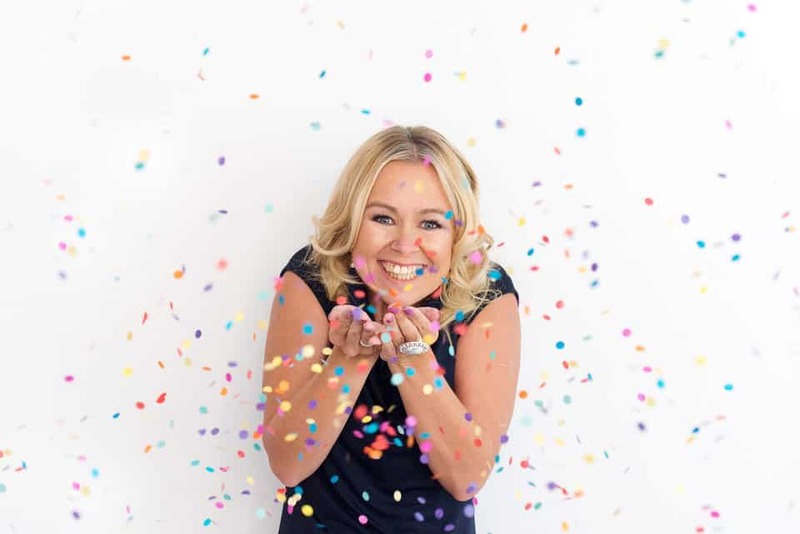 Energy grows and flows when you spread it - so there will be a High Vibe AF Facebook community, and you get to expand and have fun with the community of the program, and of course with ME! 10 daily audio trainings, delivered to you daily via email. BONUS training: "How to feel abundant when your bank account screams "you're not!" My energy - and LOTS of it. Here's the low-priced program people have been asking me for, for weeks! I can't wait to share all my energy and ideas with you.